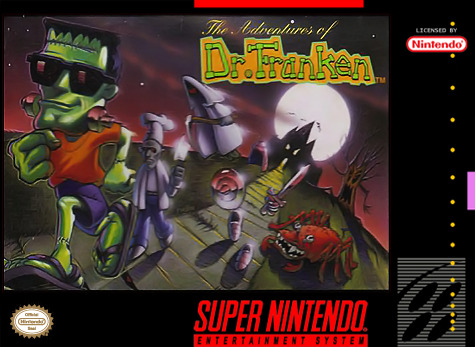 Dr. Franken for Super Nintendo allows you to be Franky as he uses his brain (however small it may be) and devises a plan where he'll dismantle Bitsy, ship her to New York, pick her up at the post office, and then reassemble her. However, the Transylvanian post office is known for screwing up, and this time they've really done it Bitsy's parts have gone to 20 different locations! Now it's up to you to find the wayward packages so you can put your girl back together.